Educating children is intrinsically a noble pursuit. So what sets Mastery Charter Schools apart enough to receive a special award for “meaningfulness” in the annual Top Workplaces program? 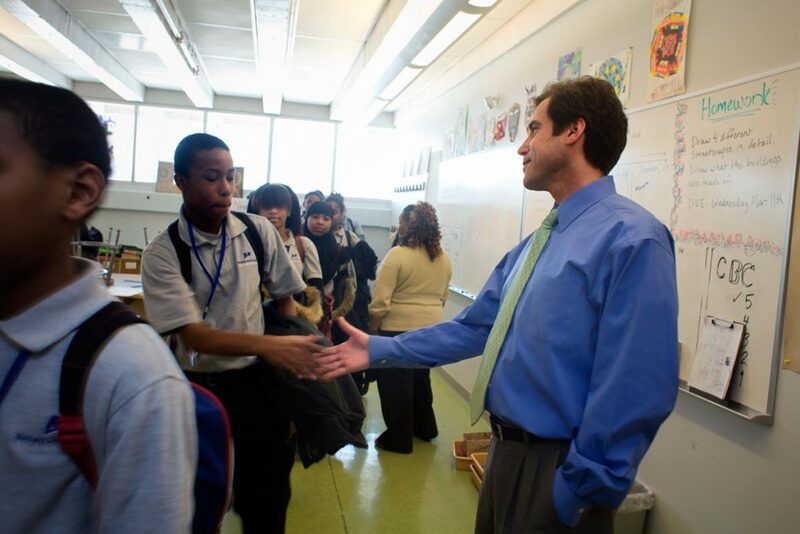 Mastery Schools, a non-profit founded in 2001, educates 12,000 students in 21 charter schools in Philadelphia and Camden. They are free neighborhood schools open to all students living within each school’s catchment area. Although a few of the schools were founded by Mastery as charters, many were existing public schools struggling with low test scores, discipline problems and other challenges. Scott Gordon, chief executive officer of Mastery, said those schools are the most challenging, but also offer the greatest rewards. “To help young people become the best they can be is incredibly meaningful, especially when their schools have been struggling,” Gordon said. The key to success is to “embrace the whole child,” he said. Mastery officials say they are dedicated to creating a culture of positive and safe schools. Many schools adopt common rituals such as morning circles, community meetings and events that promote the joy of learning. Staff members receive training so they can understand and respond to the cultural, racial and individual identities of the students and their families. The staff also receives training in how to help students who are dealing with trauma and extra support and counseling is available. Community involvement also is vital. Frederick Douglass Mastery Charter Elementary School in February invited more than 100 men of color to speak with students about what it takes to be successful. School officials said it was an important event for a school where most of the students are African-American boys, but most of the faculty are women or men who are not black. This model has its opponents, who argue that charter schools drain resources from traditional public schools. Gordon said Mastery Schools has a track record that speaks for itself. Its turnaround schools have seen test scores increase on average more than 40 percentage points per grade and subject after three years, violence decrease by 80 percent and student turnover drop by one-third, Mastery officials say. One teacher who responded to the Top Workplaces survey said everyone at Mastery keeps students in mind above all else.